Cancun needs no introduction right? The epitome of vacation spots, this city is on the wish list for most ILP volunteers in Mexico, but don't think you know everything when it comes to this dreamy spot. Figuring out where to spend one of your vacations in Mexico? Cancun may be home to some of the prettiest beaches around, but we truly love it for the nearby getaways. 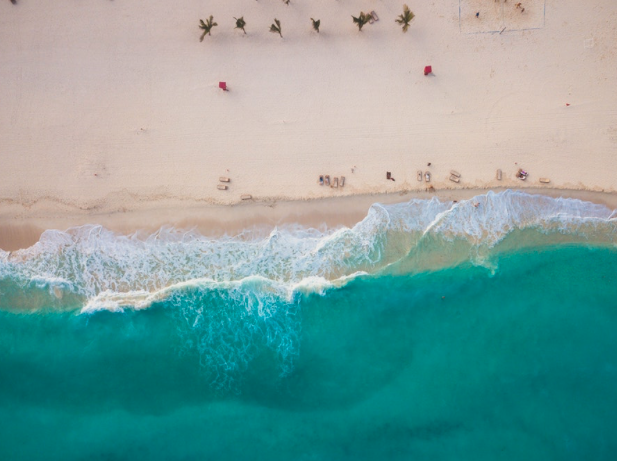 One big perk of vacationing in Cancun is everything there is to do in this coastal spot, plus it’s so close to some of our favorite places to experience. 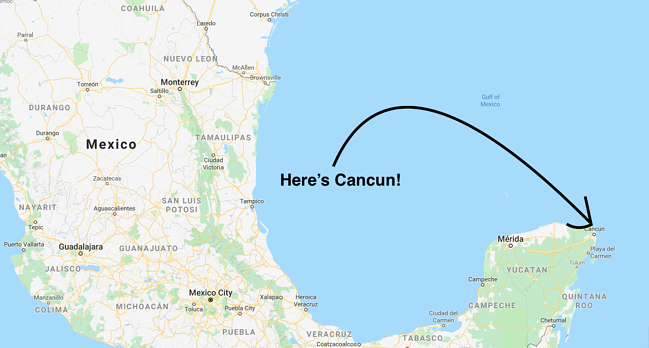 Since there’s a lot that goes into a perfect vacation in Cancun, we’ve mapped out our favorite things to do, info on how to get there, where to stay, and all the details to help make your trip here a total success. Unless you’re already close to Cancun and can take a bus, a flight is going to be your best bet. There are multiple, daily flights to the Cancun International Airport (CUN). From Mexico City, you can find daily flights to Cancun from anywhere from $85 - $180 (and up). Booking in advance is your best bet, volunteers report paying around $150 or a bit lower to get over to Cancun if you book a couple of months before you want to leave. Check out these airlines for cheap flights to Cancun to help you snag a good fare. From Mexico city, thee flight to Cancun is just over two hours. Once you land, you’ll need to get into the city center, which is about nine miles away. That’s easily done by taking a taxi or riding a bus to where you’re headed. If you hail a taxi, make sure you catch an official taxi on the outside of the airport. People inside with a cardboard sign will try and get you into an unmarked car which means you’ll probably end up paying lots more than if you paid for an official cab. Legitimate taxis and drivers (along with shuttles) will be outside of the airport. Taxis will be expensive, around $25 to the hotel zone. Private shuttles can be as much as $60. You might want to download the Easy Taxi app; it’s like the Uber of Mexico and can help you avoid overcharging. Get it here on iOS and here on Android. Or, take a bus. ADO or Riviera buses can take you from Terminal 2 to the downtown bus station (where you can just get a cheap taxi to your hotel). You can buy tickets there: there should be an ADO podium with an attendant or you can pay the driver directly. Tickets are inexpensive, about $4-$6. To get around the city, taxis (or an Easy Taxi) is probably your best bet if it’s too far to walk, though you’ll be doing your fair share of walking. Just so you know, our ILP volunteers typically say the same thing when it comes to Cancun. It’s a very fun vacation …. if you have some money to spend. Cancun is definitely one of the most expensive places in Mexico to vacation. Hostels are expensive and things to do are expensive, plus it’s very popular with the tourists which raises the prices. 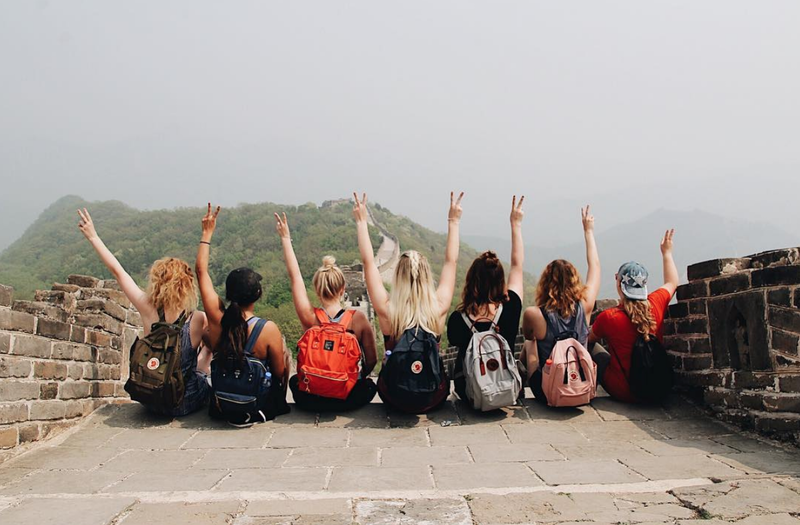 There are some fun things to do, but overall, most volunteers wished they would have spent more time in another destination (like Isla Mujeres), and just used Cancun as a jumping off point to other experiences. It's up to you. 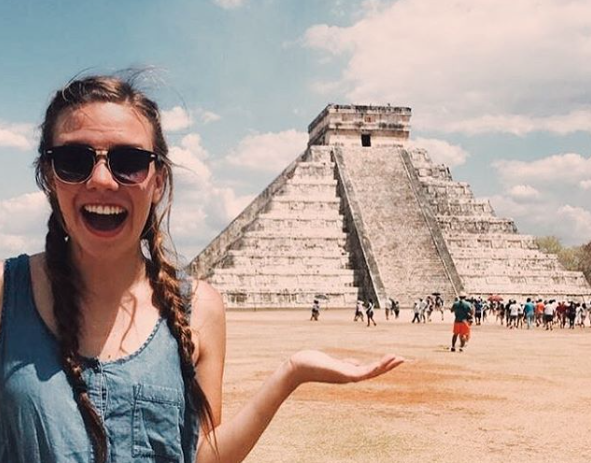 Places like Chichen Itza can be done in a day, same with Tulum … though you could easily spend 1-2 days in Tulum if you wanted to. That's really the case with all the nearby getaways. 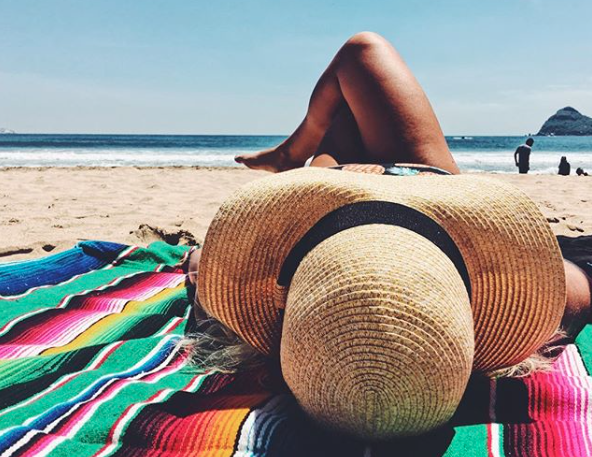 We suggest planing out the nearby spots you want to adventure in, and look at Cancun and see how much time you want to spend on Cancun’s beaches and things to do (if any). Probably why you’re in Cancun in the first, place, right? You have the pick of the litter when it comes to pretty beaches. In the past, ILP volunteers have loved hanging out on Playa Delfines, and a beach called Playa Chac-mool (supposedly “the best beach ever” according to one ILP group). Very popular in Cancun, dolphin tours are some people’s highlight (though they are a bit expensive). Most of the pricier tour packages will include a swim with dolphins and maybe a few other animals (like sea lions or manatees) plus lunch, and some snorkeling. You can save by just getting a package that includes a dolphin interaction, and nothing else. A few groups had very good luck with a tour company called Dolphin Discovery. They have several tour options ranging from $110 - $254, with VIP options as the most expensive. Other groups also had good experiences with a tour through Xcaret who have a dolphin package just over $100. Easily reached by taxi, Xel-Ha is an aquatic theme park with a few different adventures we love: think multiple places for snorkeling, zip lining, cliff jumping and more. Most packages also include unlimited food so that’s a huge plus. It's a fun, resort-type feel with loads to do. If you’re into cool and unusual museums, this one in Cancun might take the cake. 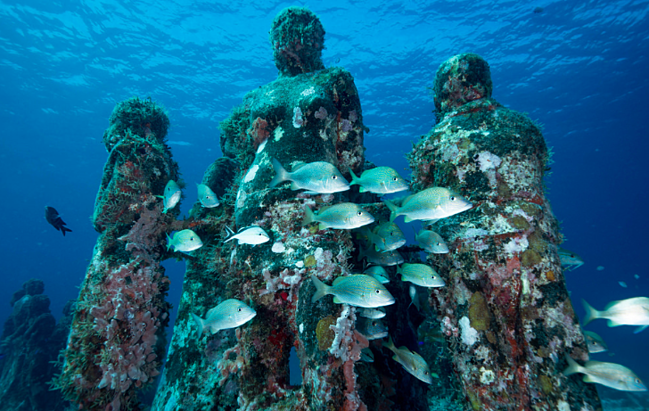 A bit different from any other museum you’ve experienced before, you’ll grab the snorkel gear provided and dive deep in the ocean to take a peek at 500+ statues and some other exhibits, all under the waves. A "must do!" according to some ILP volunteers! Keep an eye out for others who join your tour like schools of colorful fish or the odd sting ray. We have more information about prices and other details here. Each of these destinations is just a couple hours (or a few hours) away via bus or taxi, so perfect for a day trip or a short 1-3 day getaway. Caribe International Hotel has good reviews from past ILP groups, with rooms that have AC (which you will really come to appreciate after a few weeks in Mexico!). Check out AirBnB’s. You’ll want to hang around the Hotel Zone and make sure the place you book is near a bus station or stop which is how you’ll get to the beaches and such, unless you are walking. One group decided to stay at an AirBnBn and bused to Playa Delfines. Cancun is one of the top spots in Mexico, but it's not our favorite. There are just too many spots to see in Mexico to think that Cancun has it all. Good thing ILP volunteers call this country home for a semester and get the chance to see which beach they love the most! Come learn more, right here.